Cedric Benson now with Lis Franc's injury and out for 8 wks. Last time we saw this injury was with Santonio Holme's injury. Another person to add to the Lis Franc's injury list: C Kalil of the panthers has a left foot lis franc's ligament injury. THis must be a French Conspiracy on the football season. Find out more about Lis Franc's read on. 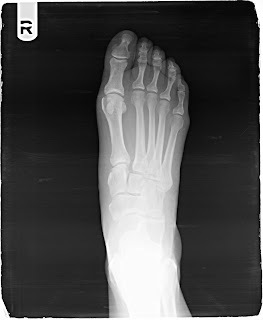 Lis Franc's ligament is a small but important ligament holding the foot bones today, particularly the medial cuneiform to the base of the 2nd metatarsal (long bone). 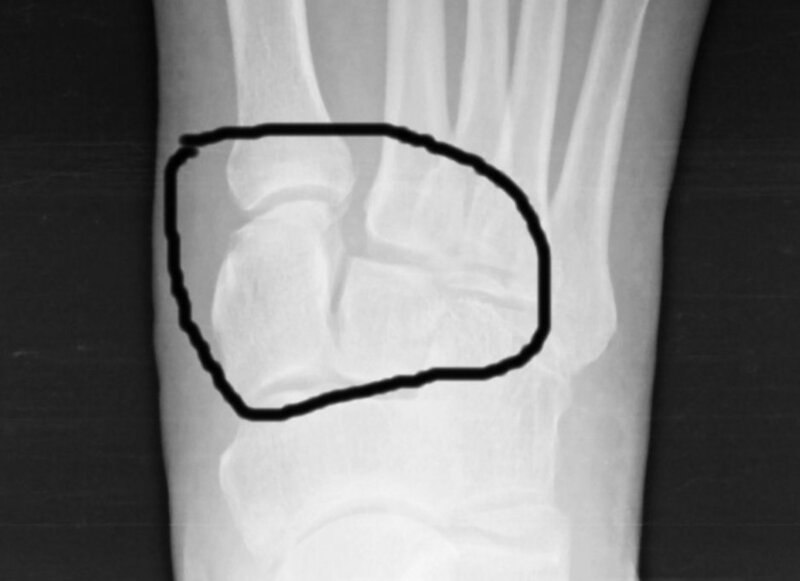 Injuries to this ligament can be as mild as a sprain of the foot requiring 8 wks of a boot, to fractures with dislocations that can debilitate the individual. Surgery is required if the pain does not resolve or if there is a large gap between the bones as noted below. Second opinion about Santonio Holme's foot injury reveals a Lis Franc's injury. Foot injuries can be devasting to the NFL player and can end your season like WR Santonio Holmes. How does this occur? Mechanism can be from stepping on your foot, or you stepping down hard in an open hole causing the middle of the foot to buckle. Can be seen in auto accidents where the person is pressing hard on the brakes to avoid a collision. This can not only be season ending but career ending for some player, hope this is not the case for Santonio, only time will tell. 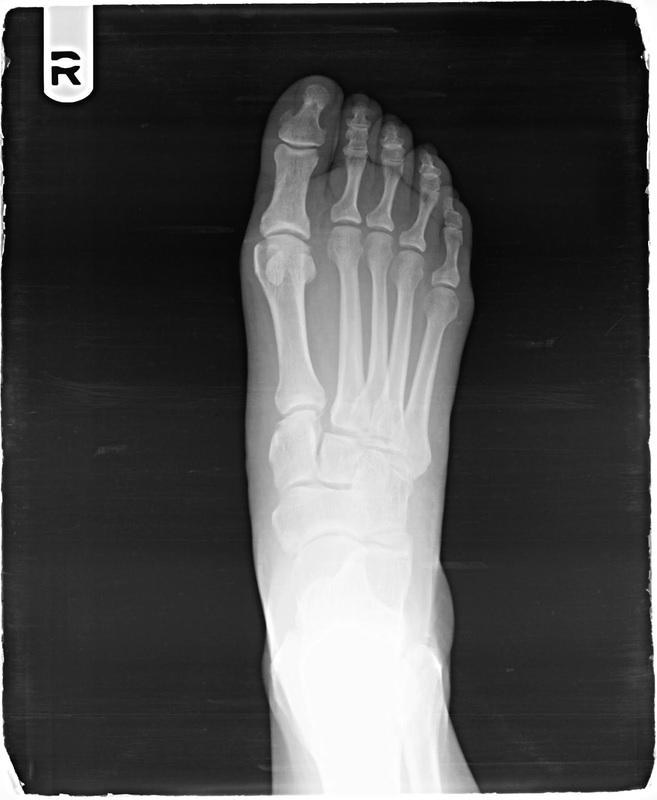 Same foot as above with the area of injury enlarged. You can see the separation better in the zoomed in picture. This is a very serious foot injury that can career ending. Not knowing the severity of his Lis Franc's injury, it is almost certain that he will always have some sort of pain or immobility from this. Option for treatments involve, immobilization, prolotherapy, Platelet Rich Plasma (PRP) injections, and even surgery. Most patients will end up with chronic foot pain in that area that can develop degenerative joint arthritis over time thus requiring a fusion. Below shows our technique for Lis Franc's Injury reduction. There are numerous techniques from wires, screws, big halo's depending on surgeon's experience and preference. 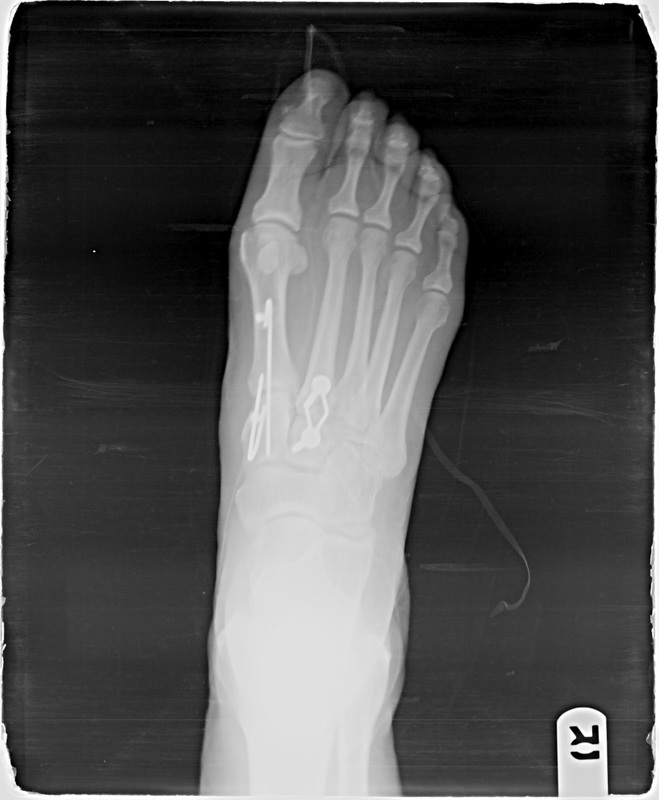 Note that the goal of this surgery to realign the joints that are displaced. I certainly hope that this will not be career ending for Santonio, but these injuries can be very hard on a professional athlete and his foot will potentially never be the same. 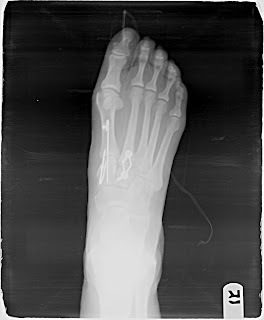 Disclaimer: These are not the xrays of Santonio's foot. These are photos of an actual FFLC patient of Dr. Kevin Lam, treated in Naples, FL.